Raising funding for life science ventures can be challenging due to long regulatory pathways and uncertain market adoption. Join us on Wednesday the 14th of Nov 2018 at 17.30 at the BioEscalator to hear from an expert panel how to tackle this challenge when building your venture. 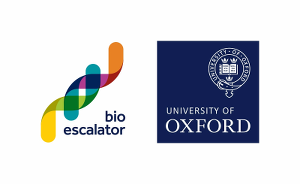 Do not miss this chance to visit the BioEscalator, Oxford’s hub for new and developing life science innovations, and sponsor of the Innovation Forum IMAGINE IF! pre-accelerator. If you have a life science-based idea, Apply here before the deadline, the 16th of November 2018, for a chance of winning the BioEscalator prize of 6 month free lab space. 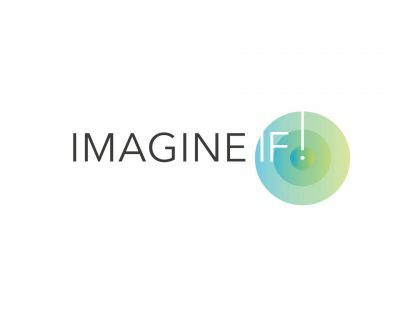 Innovation Forum Oxford is supporting Silicon Valley Comes to the UK/Oxford. For more information about other events, please follow the link SVC2UK Oxford events. This session will be moderated by Danuta Jeziorska and feature life science investors, including Simon Bayly, Rebecca Todd, and Lachlan MacKinnon, who will share their stories and challenges and offer suggestions for raising money at multiple stages. Simon is head of Business Development for the Oxford biomedical engineering spinout Oxford Mestar. He has a PhD in chemistry and spent his early career in research at the University of British Columbia and the University of Oxford, where his interests spread across diverse technologies from molecular magnets to PET imaging agents. Simon’s commercial experience includes R&D, technology scouting and early stage investment. His previous roles include Epiphany Capital, H2O Venture Partners and Oxford Biosensors. Rebecca began venture investing in 2006 while at Oxford Capital, where she took responsibility for the Oxford Gateway Funds’ investments into healthcare and life science companies, and went on to become Director, Healthcare Ventures at Imperial Innovations (now Touchstone Innovations). Her earlier career was as a marketing consultant to pharmaceutical and life science technology companies. Rebecca has a PhD in Genetics from Nottingham University and an MBA from Oxford University. She joined Longwall Ventures after a couple of years sabbatical break spent exploring South America in a VW camper van and focuses predominantly on medical technology opportunities. Lachlan studied Chemistry at the University of Oxford before joining Oxford Sciences Innovation (OSI) as it was founded in 2015. OSI raised £600m to invest in deep science and technology emerging from Oxford. Lachlan has invested in inventions and enabling technologies from physical sciences that can be applied in other fields, including launching Oxford Nanoimaging in 2016 with a technology to deliver superresolution microscopy techniques on a desktop. It has gone on to raise $25m and now employs 100 people in Oxford and the Bay Area. Later, he partnered with Google Ventures to launch Spybiotech, developing vaccines against the two most harmful infectious diseases with no current vaccine. He also represents OSI on the boards of Opsydia, OMass Technologies and Xerion Healthcare having made initial seed investments. Dr Danuta Jeziorska is a passionate entrepreneur and a senior scientist at Oxford University. She is currently co-founding Oxomics, a spinout from Oxford University that aims to transform drug discovery using the 3D structure of the genome. Previously, Danuta co-founded and led Innovation Forum Oxford, a branch of a global non-profit organisation with 10,000 members and 19 branches across three continents, that aims to accelerate innovative technology development by connecting academics, industry, healthcare professionals and policy makers and by inspiring and nurturing the next generation of entrepreneurially inclined scientists. Danuta also helped form TechTonic, an organisation that supports women in the technology sector, where she is a director. Danuta obtained her PhD in Systems Biology and is currently a Senior Postdoctoral Research Scientist at the MRC Weatherall Institute of Molecular Medicine at the University of Oxford.